The United States Department of Agriculture had modest origins as the Agriculture Division of the U.S. Patent Office in 1839. The country’s economy was largely agrarian, and the purpose of the Division was to collect agricultural statistics and to collect and distribute new and improved varieties of seeds and plants. In 1849, the Patent Office and its Agricultural Division were moved into the new Department of the Interior, and finally in 1862, President Lincoln established an independent Department of Agriculture, calling it the "people’s department". It was given cabinet level status in 1889 under President Grover Cleveland. The Division of Botany was created within the Department in 1868, and The Report of the Botanist was published annually starting in 1869 and continuing through 1901 when the Division of Botany was discontinued. During that time the Department was headed by three very distinguished botanists: Charles C. Parry (1869–1871), George Vasey (1872–1893), and Frederick Coville (1893–1901). Early USDA publications relied on the work of artists for illustrations, as the use of photography was still limited. 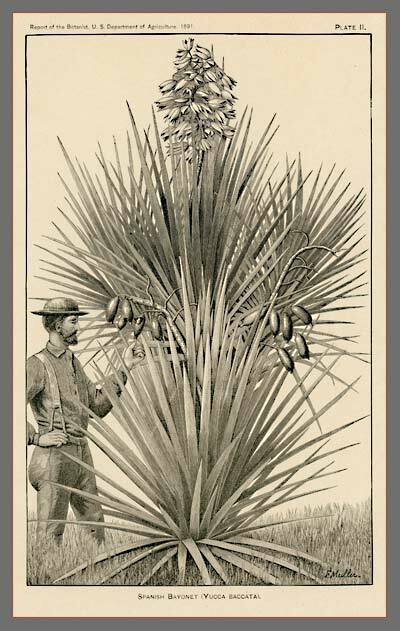 The Report of the Botanist from the Department’s annual report, Contributions from the U.S. National Herbarium , and the agency's many bulletins and circulars for farmers all needed illustrations. The agency hired many artists, some of who were among the most talented botanical artists of the day, including Deborah Griscom Passmore, William Henry Prestele (son of the notable lithographer, Joseph Prestele), L. C. C. Krieger, and Regina Hughes.